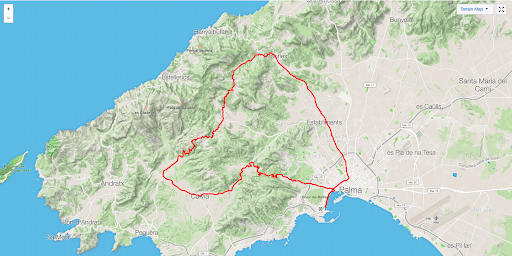 The Balearic island of Mallorca is not only one of our favourite places to ride and home to the Velusso Villa but it’s also a cycling haven for pro and recreational riders alike. Smooth tarmac, rolling roads, and stunning mountain climbs make the island a desirable destination all year round. Thinking of heading to Mallorca in 2019? Here are four of our favourite routes to ride and spots to visit on the island. A firm favourite for any cyclist visiting the island, a visit to the Formentor at the north east tip of the island is worth it for the view on every visit. Starting from Port de Pollença sees you take in an out and back rolling 40km loop to the Cap de Formentor Lighthouse. Ride the route at sunrise and you’ll be treated to stunning views across the ocean, and the two viewing points along the way make this a great place to do a recovery ride taking the time to stop along the way for a photo. The route has everything from gentle short climbs to switchbacks, a chance to spot some for the goats that inhabit the area, and a café at the tip. With a name deriving from the small town port of Sa Calobra that lies at the bottom, Coll dels Reis is this climb’s official name. 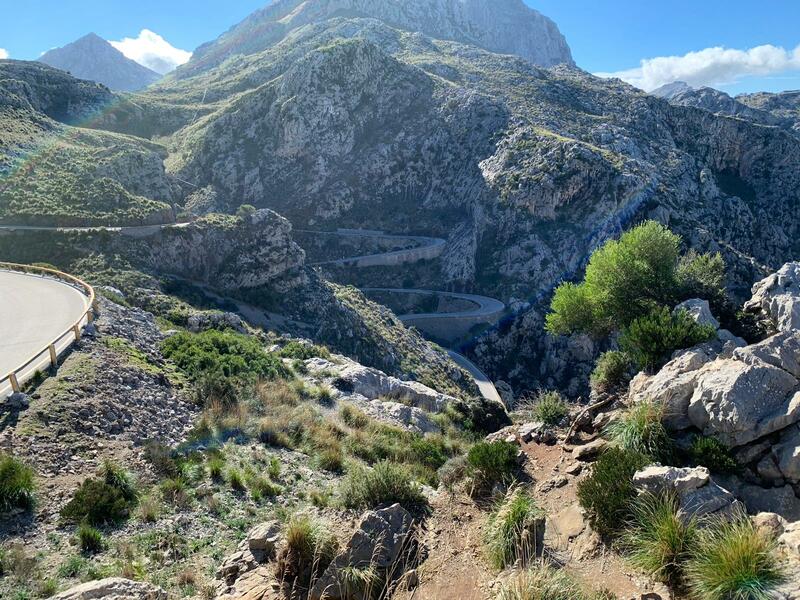 A 9.8km ascent with an average gradient of 12%, Sa Calobra (Catalan for snake) differs slightly to climbs you may normally be used to due to the fact that before experiencing the climb back to the top you must first descend the road in its entirety. 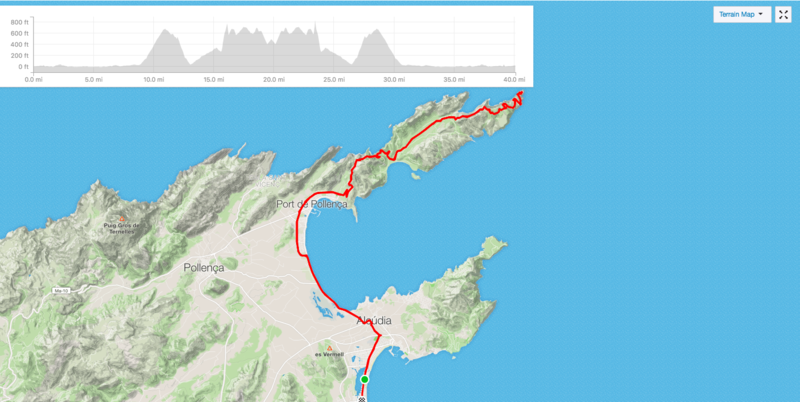 As one of the most popular rides on the island be sure to take this climb on early in the day to avoid the huge number of cyclists and tourist buses that visit, as well as the soaring temperatures that can occur in the hotter months. For those riders staying in the north of the island but wishing to discover the area surrounding the capital of Palma hop aboard a short train to experience some of the amazing riding on offer. A short 60km loop offers a trio of climbs after only a short ride out of the city. Once you’ve reached the hills, the route is mostly quiet with little traffic along the way, and the occasional car passing on the ascent. There’s a small gravel track about three-quarters of the ride in, but then again there’s nothing like a bit of adventure during a ride. A great choice for cyclists of varying abilities. At 5.1km long and with an average gradient of 5% the Coll d’Orient offers something for those wanting to test their legs, and also something for riders who are tackling a longer ascent for the first time. Smooth tarmac and a relatively quiet road offers a climb away from the hustle and bustle of some of the other major routes and hills. Find out more about our holidays to Mallorca here.